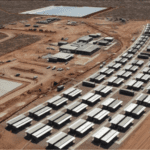 GR Engineering has won an engineering, procurement and construction (EPC) contract with OZ Minerals for the design and construction of a wellfield at the Carrapateena copper-gold project in South Australia. The $16.3 million contract’s scope of work includes the detailed design, survey, supply, transportation, construction, testing and commissioning for the development of the trunkline and transfer pumping stations associated with four wells. Carrapateena’s minerals processing plant, which is under construction, will be supplied with water through the Northern Wellfield project. GR Engineering will start work on the contract immediately, with the project to be completed in the third quarter of 2019. The contract will be delivered under a guaranteed maximum price model. Geoff Jones, GR Engineering managing director, said the award of the work demonstrated the contractor’s credentials in the supply of process infrastructure and performance of ancillary project works on a turnkey basis to support broader project delivery. 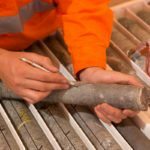 “Carrapateena is a globally significant copper-gold development project and our team is looking forward to working with OZ Minerals to make a meaningful contribution to its safe and successful delivery,” Jones said. OZ Minerals expects to produce first concentrate at Carrapateena in the fourth quarter of 2019.